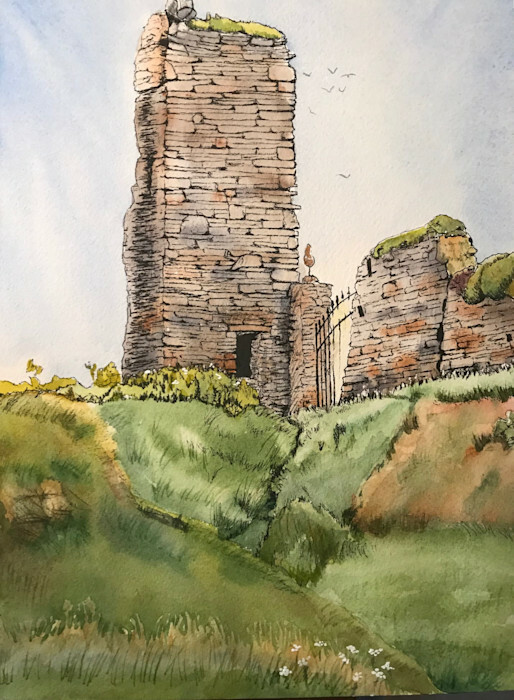 Irish ruin painted from photos taken during a trip to Ireland to visit friends and see the sights. I love old ruins and stone work and loved the effect of the sun shining through the wrought iron fence. This watercolor is matted with a 2" off-white mat.